One of the very best things about my job is meeting the lovely people who read my books- especially the children. I’ve been writing stories for children for far longer than I’ve been writing for adults, although I’ve only invested effort in getting one of them published so far- others are on the way! 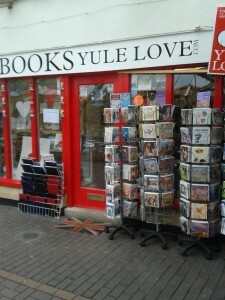 This week I was extremely flattered to be invited to the Books Yule Love bookshop in Moreton-in-the -Marsh, Gloucestershire. I was there to read my children’s picture book, There’s a Cow in the Flat, to three groups of very well behaved school children from the nearby St David’s Primary School. As well as reading to the children, I had the pleasure of chatting to them, and sharing in their vivid imaginations. It is wonderful, in this age of 2D entertainment, to see that the imagination of children is alive and well and as delightfully abstract as ever! When I asked them all how they thought the cow had got into the flat in the first place, the answers ranged from the common sense replies of “the cow came through the door”, to “she beamed in from space”, was sent “via remote control”, and flew in through the window via “airplane” or “jumped in with the aid of a trampoline”. Wonderful!! 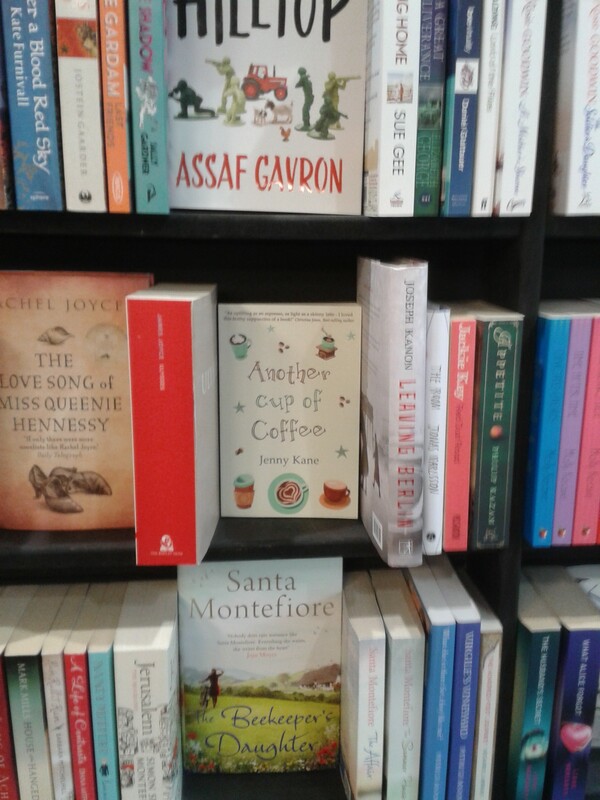 Not only was I made very welcome my Mike and Richard of Books Yule Love, but I was overwhelmed with the number of happy faces, the number of books sold, and – the icing on my cake- to see a copy of my contemporary romance, Another Cup of Coffee, popped neatly on the bookshop shelf!! 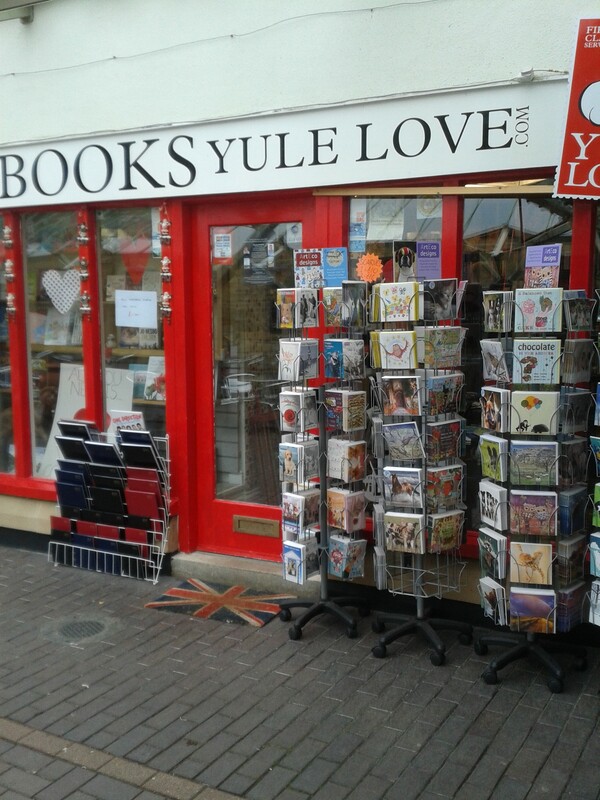 So, I’d like to extend a big thanks to the people of the Cotswolds, for making me so welcome last week – I look forward to seeing you all again on World Book Day!! 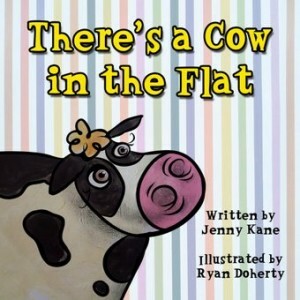 i think there oughta be a audio book edition of There’s A Cow In The Flat, don’t you?